Feast your eyes on this superb selection of 4 premium handmades from Perdomo cigars. 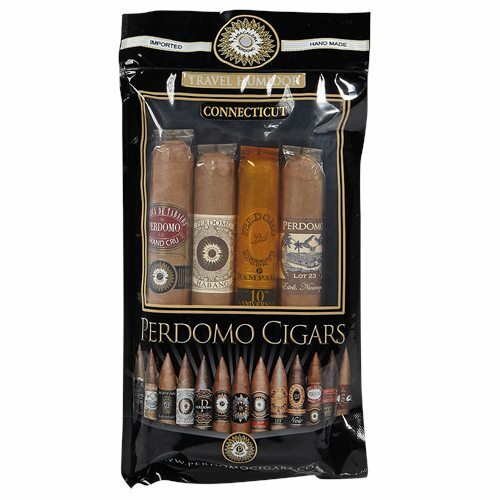 The Perdomo Connecticut Humidified Sampler offers four awesome cigars in a package that’s ready to go when you are. If you’re an outdoorsman, golfer, tailgater or just don’t want to haul more than you have to when you go to your next poker night, this is a great solution. The cigars included are: Grand Cru 2006 Connecticut, Habano Connecticut. 10th Anniversary Champagne, and Lot 23 Connecticut.